Can I use Shell Go+ with Fill-Up and Go? I've changed mobile phones and it won't let me login on my new phone? I’ve forgotten my details and can’t login? Something went wrong when using Fill Up & Go. What should I do? How do I register for Fill Up and Go? 2. Once the app has been downloaded navigate through the walk through screens and set up a Shell account as per the screens below. You can set up a Shell account with your email address or with Facebook. Top Tip: you must turn on location services when asked. This enables us to know when you arrive at a forecourt so that you can use Fill Up & Go. 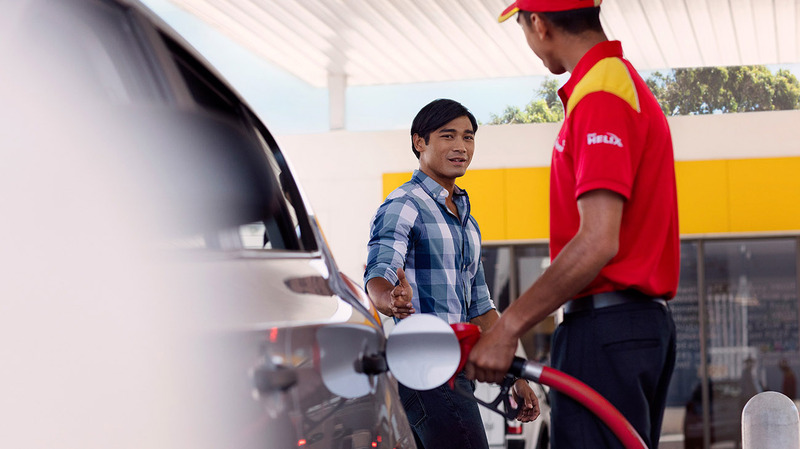 Once your Shell account is created you can add the Fill Up & Go service by following the steps below. You will need to choose your preferred payment method (PayPal or Apple Pay more information in step 3). If selecting Apple Pay, follow the steps or use your existing Wallet. If selecting PayPal or Android Pay, attach an existing PayPal account or attach Android Pay. On the main Fill Up & Go screen, tap fuelling value. Set your value from £20 up to £150 – you can change this whenever you like. Tap through the health and safety screens and you’re ready to use Fill Up and Go.